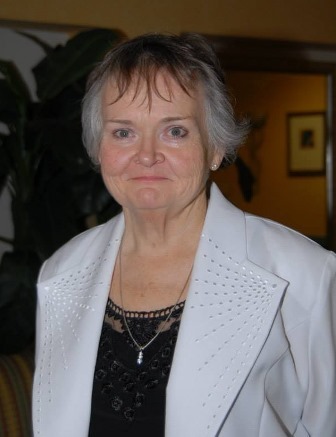 Peggy Jean Lewis went home to be with her Lord on Wednesday, February 6, 2019 after a long medical battle. Peggy had a lot of joy in her life. She was very active in the Pinetops Presbyterian Church in Pinetops. She loved working with the children at church and was very helpful with their activities. The Pinetops Christmas Parade and the Pinetops Tractor Pull meant so much to Peggy. Everything had to be just right for those events. Another joy was driving Sheriff Knight in the Christmas parade every year. Peggy had a very giving heart and she demonstrated this through all her work with the Jaycees. Most of her life from a very young age up until now she pushed to support “Her Jaycees”, helping in all areas that she could. This is the way she would help in different communities, bringing good to all through the Jaycees. She worked for many years with the Dept. of Social Services until her passing. Her co-workers were always there for her, supporting her in every way. Her job was just another way she loved to help others. She was preceded in death by her parents, Harvey and Janie Summerlin Lewis. Peggy leaves behind to remember her, a very large group of cousins. As the family says—Offsprings of the Summerlin family, the Lewis family and the Holloman family. The family would like to thank all of the doctors and staff at Vidant Edgecombe Hospital where Peggy was a patient until her time of passing. We would also like to say thank you to everyone at Vidant Multispecialty Clinic for their compassion in caring for our loved one. May God bless each of you. The family will receive friends at Carlisle Funeral Home on Saturday from 2:00-3:00 with her funeral service following at 3:00pm in the chapel with the Rev. James Avery officiating. Burial will follow in Edgecombe Memorial Park.